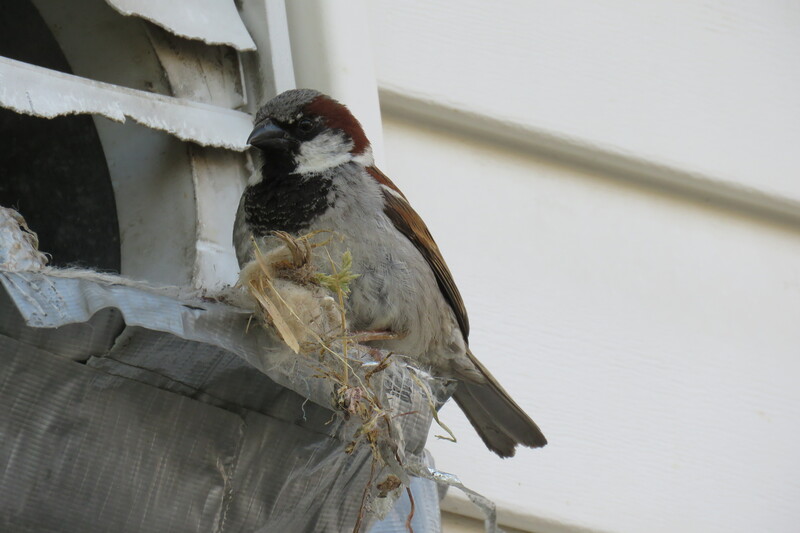 I didn’t capture any images of the two wee sparrows that feasted well as a result of Mrs. and her dedicated care and concern. 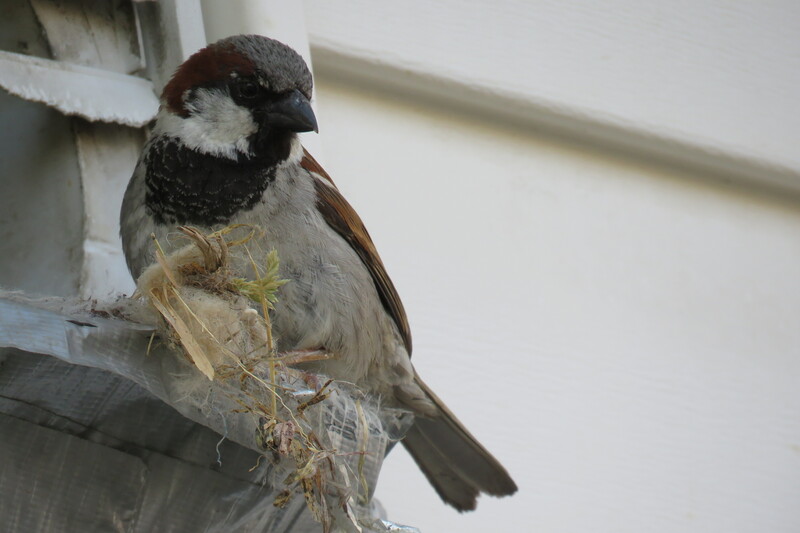 I watched them from the kitchen window, though, and knew that they would fledge soon. Sure enough, just two days ago, in late afternoon, Mr. and Mrs. seemed to be having a huge squabble inside the nest. Wings were flying everywhere. When the dust settled, I didn’t hear the little guys at all. I don’t know if the two youngsters had come to some sad demise (a crow has been hanging about lately) or if they had successfully left the nest. I prefer to choose the latter. Instinctively, the very next morning, yesterday morning, Mr. dominated the nest again, calling out repetitively for the next brood to be started. 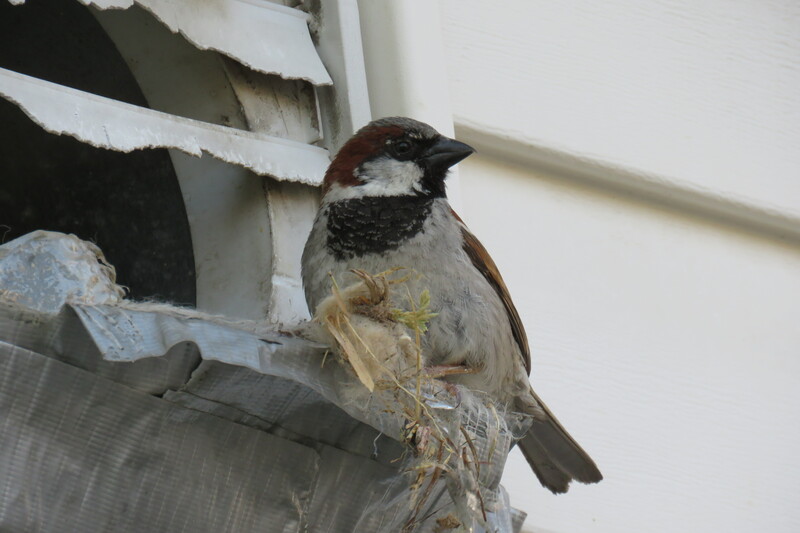 Sparrows can manage two or three different broods in a summer season. It was/is apparent that he had no time to be messing about. 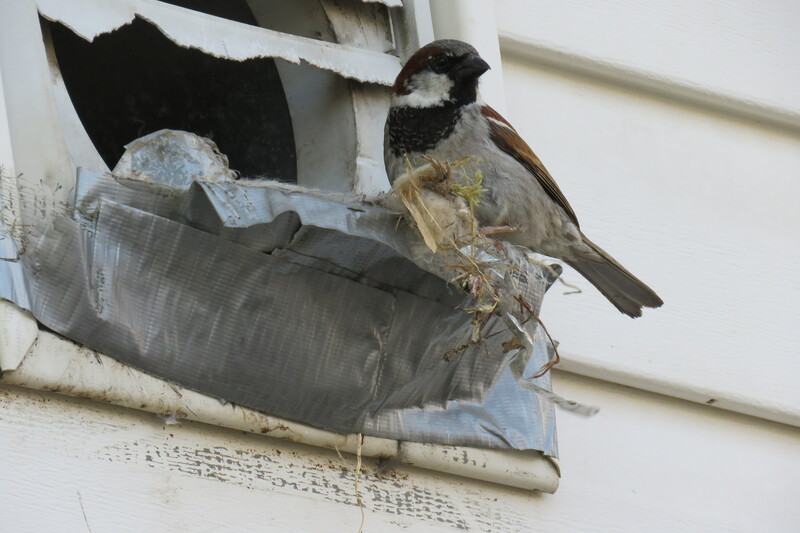 Yesterday afternoon I watched him clean out the previous nest or nest lining, one piece of grass at a time…sometimes yanking an entire chunk of nest out and onto the ground. This was something I had not observed before. This entry was posted in Observations of Nature, Reflection and tagged Bird Behaviours, Birds, Nesting, Observation, Sparrows by Painter Lady. Bookmark the permalink. Birds are endlessly entertaining. Thanks for sharing the pictures.